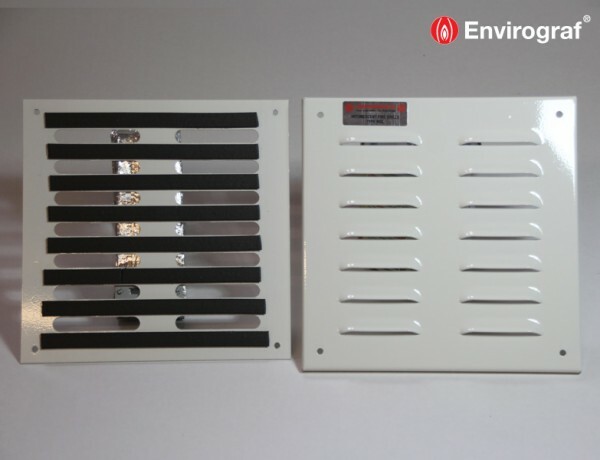 An intumescent vent grille system consisting of two metal plates that hold intumescent material, fitted either side of a door or wall. The grille has either standard ventilation slots or louvres to allow airflow. The intumescent material will expand in a fire and seal the openings in the grille. The sets are defined in two ways: the /D version is for use in situations in which the risk is double-sided (that is, the opening could be attacked by fire from either side); and the /S version is for use in situations in which it has been clearly identified that only a single side of the opening is at risk. When fitting the /S version, the intumesced plate is placed on the risk side and the plain plate is placed on the opposite side of the opening. Order the grilles to suit the opening to be protected – the external measurement of the grille needs to be at least 50mm larger than the opening to allow for fixing. Special sizes can be produced (prices quoted on request). See price list for full range of available sizes. MG slotted type for more ventilation/MGL louvred non-viewing type. 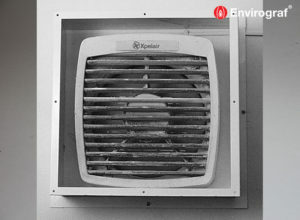 Each slot gives 6cm² and louvre 3.2 cm² free ventilation area. Tested to BS476 Parts 20 and 22 (1987), achieving 66 minutes on one side only. Tested to BS476 Part 22 (1987), achieving an integrity of 73 minutes.